University of the Potomac is accredited by the Middle States Commission on Higher Education, 3624 Market Street, Philadelphia, PA 19104, (267) 284-5000. 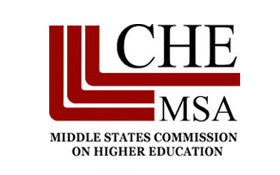 The Middle States Commission on Higher Education is an institutional accrediting agency recognized by the U.S. Secretary of Education and the Council for Higher Education Accreditation. The main campus of University of the Potomac is located at 1401 H Street, N.W., Washington, DC 20005, and is licensed to operate in the District of Columbia by the Higher Education Licensure Commission of the DC Office of the State Superintendent of Education. 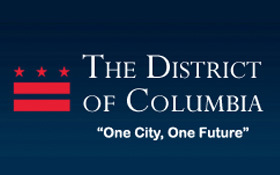 The Office of the State Superintendent of Education, formerly known as the State Education Office (SEO), is a high-performing, transparent agency that sets proactive policies, exercises vigilant oversight, and directs resources that guarantee residents educated in the District of Columbia are among the highest performers in the nation; fully prepared for successful postsecondary learning and employment in the creative economy. University of the Potomac’s Branch campus, located at 2070 Chain Bridge Rd, Vienna, VA, 22182, is certified by The State Council of Higher Education for Virginia (James Monroe Building, 101 North Fourteenth Street, Richmond, VA 23219: 804.255.2600) to operate in Virginia. SEVP-certified school is a college, university, seminary, conservatory, high school, private elementary school, private middle school, other academic or vocational institution, or language training program in the United States that has applied for and received certification to enroll F and/or M nonimmigrant students. The University of the Potomac is approved to operate by the Private Business and Vocational Schools Division of the Illinois Board of Higher Education. Advanced Certificates: Business Accounting, General Management, Government Contract Management, Health Systems Management, Information Systems Management, International Business, and Network Security Management. Certificates: Accounting Clerical Support, General Business, Information Assurance, Information Network Security Management, International Studies, Office Application Support, Project Management. The University is an approved member of the Service members’ Opportunity Colleges (SOC).